Do any of my blogging readers have a go-to recipe that you realized recently that you have never written a post about? Well, I do and here it is. This is a recipe that I made up myself years ago and for some reason I have never posted it here. 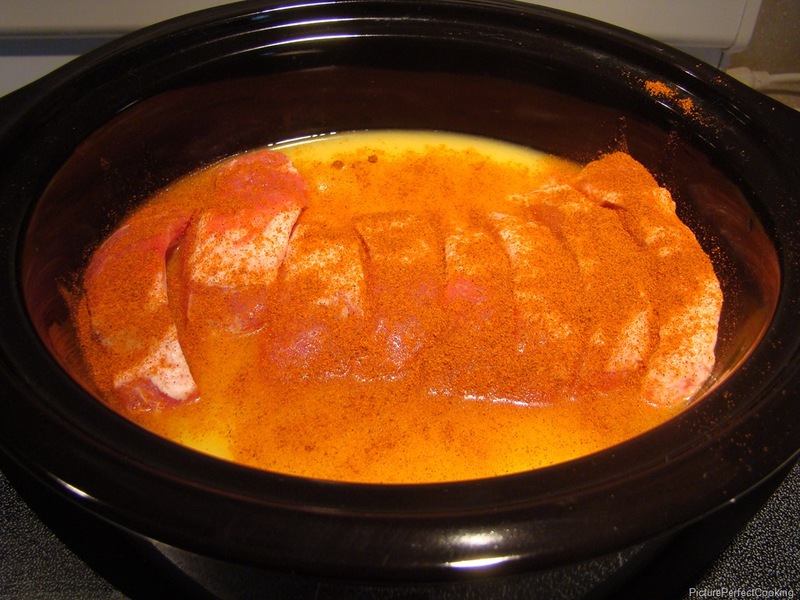 I must remedy that today because this pork loin is quick, easy, and comes out so tender and juicy. 1 pork loin, approximately 2 lbs. 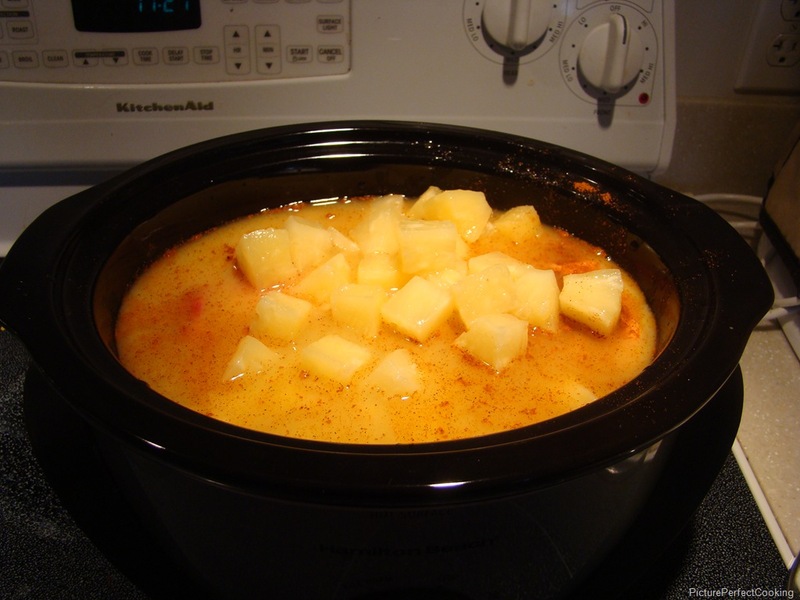 Pour the orange juice into a slow cooker. 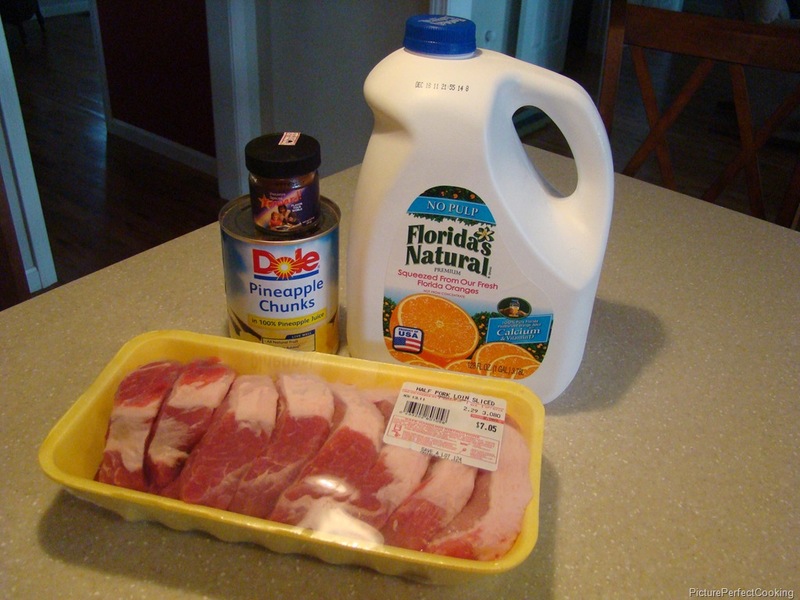 Put the pork loin into the juice and sprinkle liberally with seasoning salt. Finally, pour the pineapple chunks and juice over the pork and cook on low for 4-6 hours or until the internal temperature is at least 165. That’s all there is to it. Enjoy! CONGRATULATIONS!!! Your recipe is being featured today at Today’s Menu Round Up. Please go grab a “featured” button. 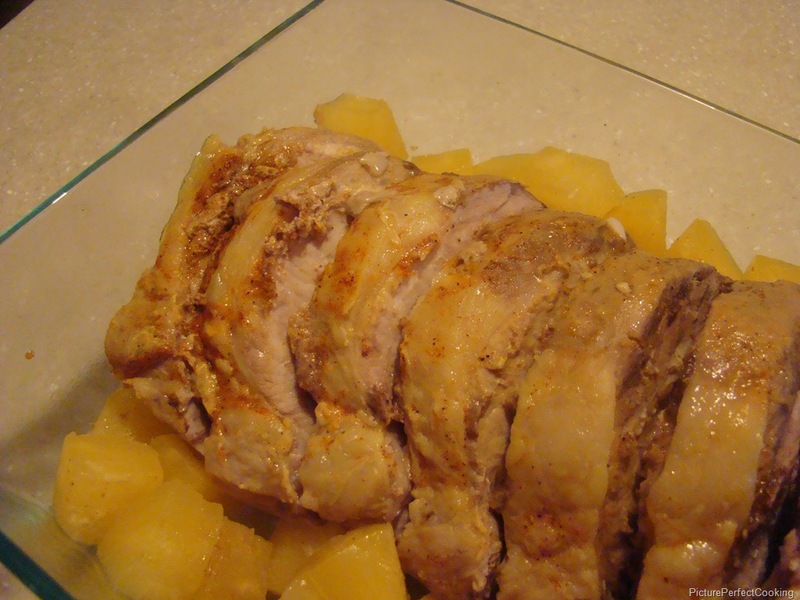 I just love the wonderful recipe for your Pineapple Pork Loin, it looks delicious, and I know we will enjoy it! Hope you are having a fabulous week end and thank you so much for sharing with Full Plate Thursday.